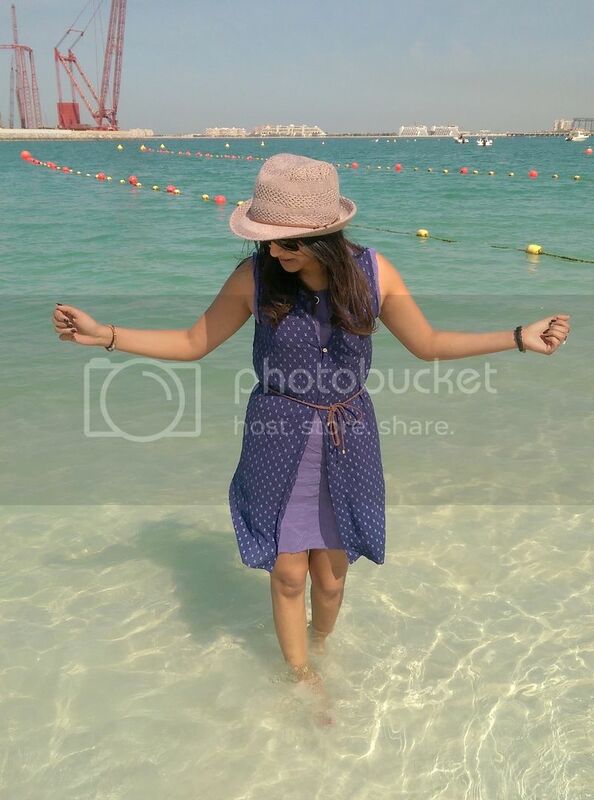 I took loads of pictures on the beaches of Dubai, so expect to see these summer outfits for a while. This will help me dream of the sun while I'm waiting for it to come out here in London. This is one those dresses which I buy towards the end of summer then have to wait 8 months for it to get warm so I can wear it again. Please tell me I'm not the only one who buys clothes at the end of a season, then waits for the weather to come back round for them! I should probably stop doing that. I'm also surprised how well this hat got me through the sun. I've had mild sunstroke before and I know what difference water, a hat and suncream can do when you're out in the sun. Considering I bought this hat on a whim, it ended up being the one piece I wore the most. Just goes to show - impulse buying has its good points. 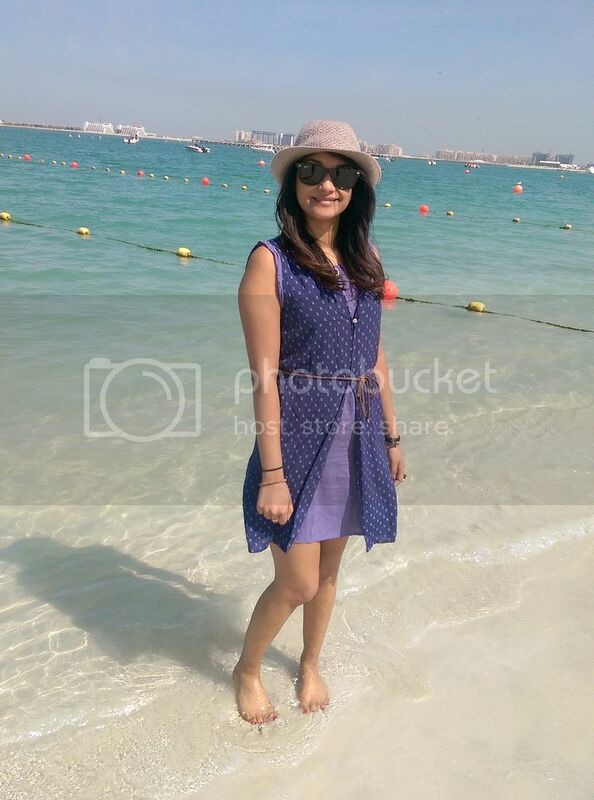 Such a cute beach dress, Sherin! Also digging that hat! I love the colour of this dress, purple looks so good on you! 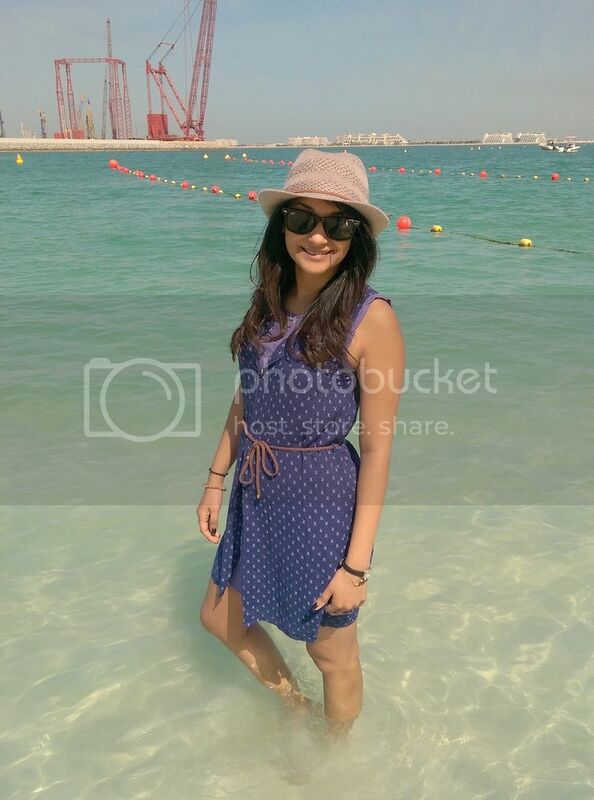 The dress print is really lovely!. I am much looking forward to spring. Thanks for the warm inspiration. This dress is gorgeous! I always buy stuff in the sales and save it, it's super exciting when you remember about it! haha love when an impulse buy pays off! Super cute dress. Can't wait for the warmer months!